eveal—the suspense, the surprise, the pleased smiles. We’ve got three before-and-after home images that invite those same emotions. 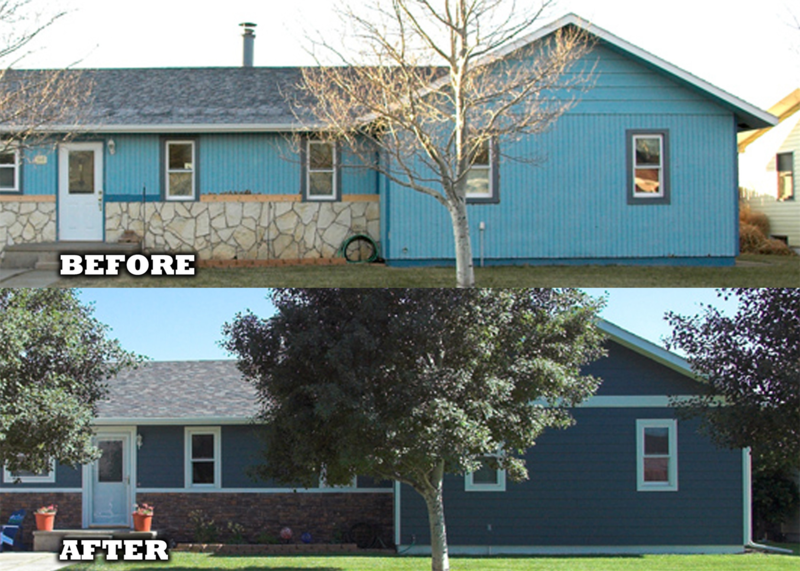 Check out the James Hardie re-sided home exteriors that give these Midwestern homes a refreshed facelift. A simple update on drab-colored siding can make a home feel cleaner, brighter and even more symmetrical—take a peek. 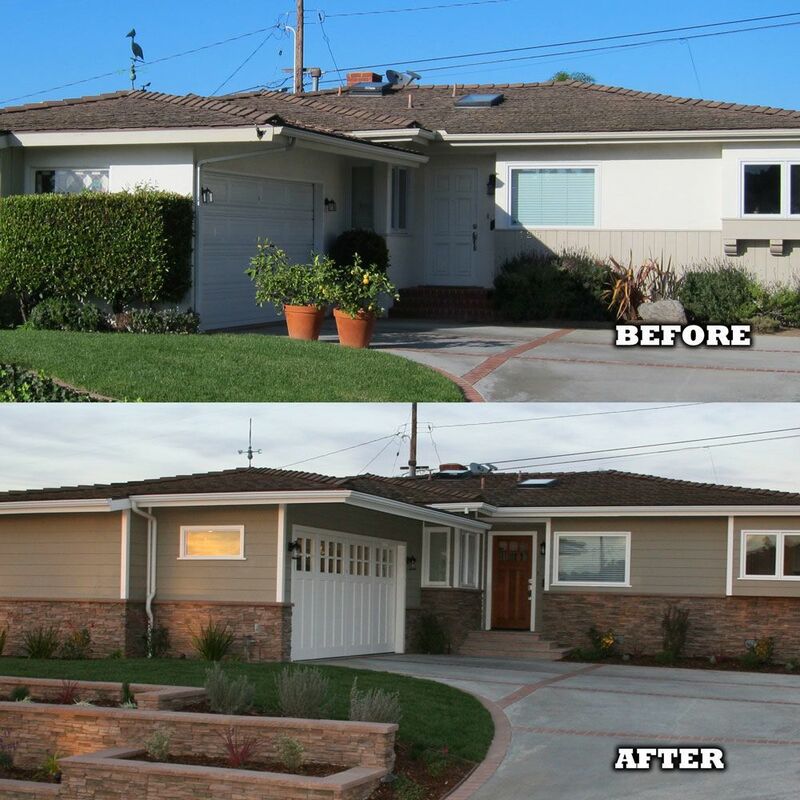 The updated ranch: The “before” of this quaint ranch is a bit bright and mismatched, but the “after” gives the home’s exterior a boost of classic and cohesive design. 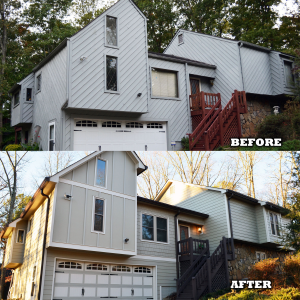 The home was re-sided with HardiePlank® lap siding in Evening Blue ColorPlus® Technology with Arctic White HardieTrim® boards. The limestone facade was also updated with red bricks for a unified look. The Cobble Stone refresh. The “before” of this unique house has dated sensibility, but the “after” makes this exterior feel timeless. The ColorPlus HardieShingle® siding and HardiePlank lap siding in Cobble Stone make the home feel larger, warmer and more durable. The ranch-style re-side: The vibrant color of the HardiePlank lap siding next to the updated Terra-Cotta stone allows you to see more of the ranch’s details. Instead of the “before” exterior blending of the creamy hues, the “after’s” bright white trim and garage door lets the warm, neutral siding color take more focus. 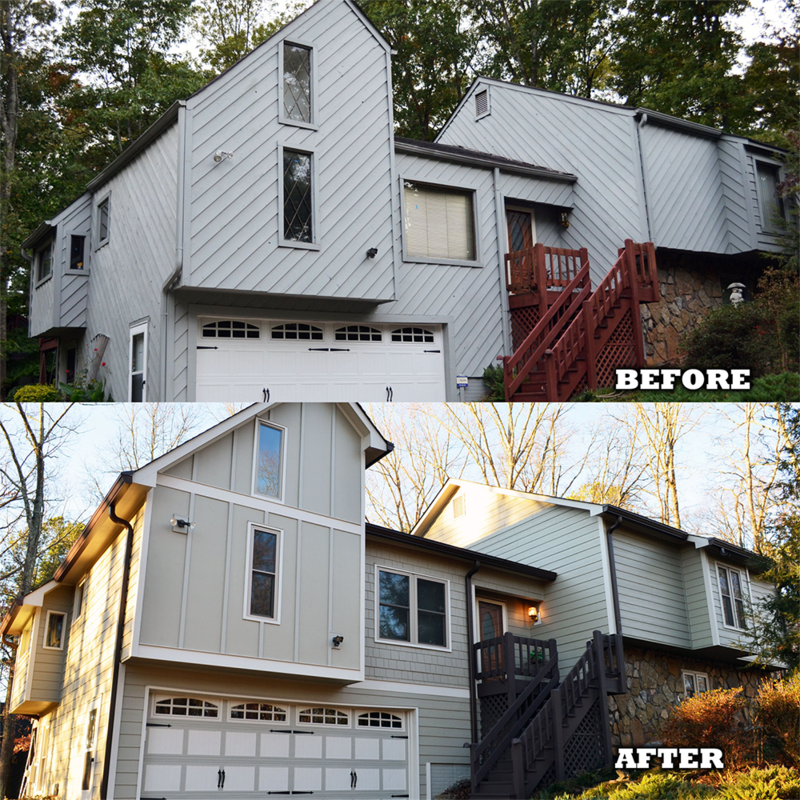 Make your home have “after” status with James Hardie® siding and trim. James Hardie siding products not only offer durability and lower maintenance, but they create a striking exterior that enhances curb appeal. No matter what your design preference, James Hardie products and lasting colors—due to ColorPlus Technology, a baked-on color application process— give you the ability to create a home that puts a pleased grin across your face.